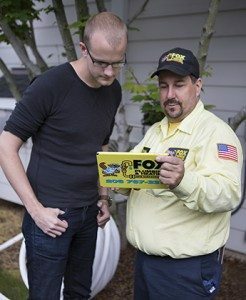 Fox Plumbing & Heating is always striving to provide our friends, neighbors and family with the best possible options. Having served Seattle, Kent, Renton, Bellevue, Mercer Island and all of King County for over 50 years, our crew have noticed a few things. One thing that we noticed was a need to keep your home cool in the summer and warm in the winter, and that is why we created our HVAC division. Our Heating and Cooling Specialists are fully trained to help you with all of your heating, venting and cooling needs. It’s important to keep your home cool in the summer and warm in the winter we are offering a discount price of $149 for a 21-Point Precision Tune-Up (For Gas & Electric Furnace, Oil Furnace $249). We want to be your one-stop for all of your service needs, but we want to be sure that your home is comfortable and happy even more. That is why we have ongoing education for all of our plumbing and HVAC service specialists. That’s how you know that you will always get the best possible service when you see our Fox trucks in your neighborhood. And our 21-Point Precision Tune-Up won’t just keep your home comfortable, our team can suggest ways to help you save money on heating and cooling options. 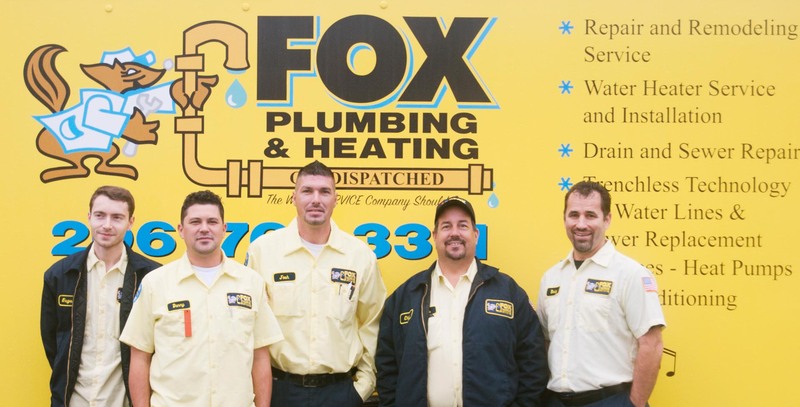 Keep your home warm during the winter with the help of Fox Plumbing & Heating. Our HVAC specialists are always ready and willing to help keep your home a castle. We at Fox know that the average furnace life is approximately 15 years. And while we never hope any of our friends, neighbors or family are without heat, we want to be the HVAC service company that you think of when you start to see problems with your furnace. If you think that it might be time to consider a new furnace then why not start by reading this article from Minnesota’s Home Energy Center on 8 Furnace Warning Signs? The team here at Fox knows that our friends, neighbors and family can make their own decisions about their HVAC needs, but it’s our responsibility to provide you with the knowledge to help make the most informed decision possible. A ductless or mini-split heat pump in your home is a great way to keep your home the perfect temperature all year long. Ductless or mini-split heat pumps, like Daikin and Coleman are also a great way to save money on multiple leveled homes. Having a ductless or mini-split heat pump, as opposed to a traditional ducted system and furnace can help you save up to 40% on annual heating and cooling home costs. That is why all of our HVAC specialists are trained to be professional installers of home ductless or mini-split heat pumps. Our specialists can map the square footage of your home and give you the best possible options for the right ductless or mini-split heat pump for you. And from now until the end March, 2016, you can save an extra $525 off the installation of a new ductless or mini-split heat pump system that is purchased through Fox Plumbing & Heating. As a part of our commitment to our community in Seattle, Bellevue, Kent, Renton and King County we only offer premium top of the line products. That is why we recommend Daikin or Coleman as your preferred ductless and mini-split systems.